passing legislation that would eliminate the $80,000 yearly cap on companies that have reached an aggregate amount of $300,000 in funding. The legislation (A.1252) would potentially make more funding available to these groups, up to $100,000 annually. Increased funding for NPCs and RPCs would help the community-based groups funded under these programs to meet ever expanding affordable housing needs. The Senate did not take up this bill; however, the Assembly Housing Committee will pursue this legislation again next session. In response to the threat of buildings pre-paying or "buying out" of the Mitchell-Lama program, the Assembly again passed a package of bills to protect tenants. Unfortunately, the Senate failed to respond in kind. The Committee will continue to advance this legislation in future sessions. In addition, the Committee held two public hearings. One hearing investigated the need to expand the Loft Law to buildings not currently covered by the existing statute, many of which are in Brooklyn. Scores of tenants came out to express their support for such action, and the Assembly subsequently passed two bills addressing their concerns, as mentioned above. A second hearing was held to explore new ways to access and combine affordable housing capital dollars and child care dollars to create a new model of developing mixed use housing. Finally, the Assembly took action on numerous measures seeking to protect the rights of tenants living in multiple dwellings and manufactured housing communities, as well as those tenants living in condominiums and cooperatives that are undergoing conversions. The New York State Assembly Committee on Housing is composed of 25 members (19 majority members and 6 minority members). In addition to legislation regarding these laws, the Committee has jurisdiction over legislation amending those sections of the Unconsolidated Laws that constitute the Emergency Housing Rent Control Law; the Local Emergency Housing Rent Control Law; the New York City Rent Stabilization Law; the Emergency Tenant Protection Act of 1974; sections of the New York City Administrative Code and the City of Buffalo Administrative Code; sections of the General Business Law that relate to the conversion of real property from rental to cooperative (co-op) or condominium (condo) status; and, sections of the Executive Law, Real Property Law, Real Property Actions and Proceedings Law, and the Public Authorities Law. A public hearing was held in February regarding the legalization of loft buildings. The hearing was prompted in part by the eviction in December 2000 of approximately 80 residents of an illegally converted factory building in Brooklyn due to violations of New York City Fire codes. City officials were also investigating 120 other sites in Brooklyn. Over 200 people came to express their support for the expansion of existing Loft Law provisions to loft buildings in Brooklyn that were occupied after the date established in the Multiple Dwelling Law. It has been stated that as many as 10,000 people live in Brooklyn in buildings zoned for commercial or manufacturing use. Similar to what happened in SOHO in the 1970's, industrial firms abandoned many parts of Brooklyn in the 1970's and 1980's, so owners started to rent space to young people seeking affordable housing. The new tenants have typically done renovations themselves, rebuilding entire neighborhoods in the process. As a result of the hearing, legislation was introduced to protect tenants, which the Assembly passed. The Committee held a public hearing in April to explore ways to maximize state capital dollars for building affordable housing units in conjunction with child care centers. 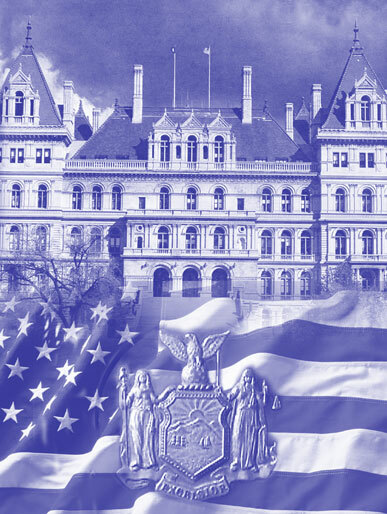 The hearing allowed the Housing Committee to hear overwhelming support for the idea and testimony from witnesses ranged from builders and non-profits to local elected officials who are concerned about the future of affordable housing in New York State. Many witnesses called for joining forces with private lending facilities, investing funds earmarked for economic development, creating a child care tax credit, and redesigning lending products to be more attractive. Witnesses also advocated for a loan guarantee fund or some equivalent, and testified to the value of using experienced community based housing groups to develop child care facilities in conjunction with affordable housing. The financial advantages of this type of joint development were pointed out, and it was recommended that the state provide incentives to housing developers that include child care centers in the projects. The testimony provided at the hearing will be invaluable to the Housing Committee as it continues its work on these important issues during the upcoming session. This Chapter extends the Housing Finance Agency's and the Housing Development Corporation's authority to finance housing developments and extends local government's authority to grant exemptions from local taxation until June 30, 2003. The State of New York Mortgage Agency (SONYMA) provides mortgage insurance and purchases residential mortgages from lenders to assist first-time home buyers who would otherwise be unable to finance the purchase of a home. SONYMA programs include both low interest rate and conventional rate mortgage programs, as well as the Mortgage Insurance Program. These programs make the dream of owning a home a reality for thousands of New Yorkers each year. This Chapter extends the ability of SONYMA's Mortgage Insurance Fund (MIF) to provide mortgage pool insurance until July 16, 2003. This Chapter amends Section 2407 of the Public Authorities Law to increase SONYMA's tax-exempt bonding authority to a total of $6.645 billion, an increase of $250 million. This increase is expected to provide SONYMA with sufficient bonding authority to cover its activities for the next year. In addition, this Chapter extends SONYMA's authority to purchase mortgages and issue tax-exempt bonds until July 16, 2002, and extends the Agency's authority to issue taxable bonds until July 16, 2002. The New York State Housing Finance Agency (HFA) was created as a public benefit corporation in 1960 to finance the development of low income housing by providing low-cost mortgage loans to both for-profit and not-for-profit developers. In its 40 year history, the Agency has issued more than $3 billion in bonds used to finance affordable housing developments. These developments include multi-family rental housing, senior housing, staff housing for educational and medical institutions, congregate care facilities, adult homes and other special needs housing. This Chapter increases HFA's tax-exempt bonding authority by $500 million from $5.03 billion to $5.53 billion. This increase will enable HFA to continue to meet the demand for below market financing among both for-profit and not-for-profit housing developers for another year. This bill would authorize municipalities to enter into contracts with redevelopment companies to exempt the real property of such companies from local and municipal real property taxes for a term commensurate with the term of the mortgage on such property made by the New York State Housing Finance Agency (HFA) instead of the current term of 25 years. Manufactured homes serve as a primary residence for more than 195,000 people living in more than 2,090 manufactured housing communities throughout the State. Counties with the highest concentration (75 or more) of these communities include Saratoga, Dutchess, Ulster, Oneida, and Oswego, while those with the lowest concentration (five or less) include Westchester, Nassau, Schenectady, and Hamilton. Since manufactured home owners usually own their homes but not the land on which they are placed, these owners are faced with a number of unique problems. First, the monetary investment involved in purchasing a manufactured home is substantial, with prices ranging from $9,000 to $150,000. Second, once purchased and placed in a community, a manufactured home is extremely difficult to move. Besides the obvious problems involved in moving such a large structure, other difficulties arise since porches and outside attachments cannot be moved without the threat of damage. Third, the cost of moving is prohibitively expensive, generally exceeding a few thousand dollars. Finally, in many areas of the State, relocating to another community is extremely difficult due to a shortage of available lots and zoning laws that restrict the placement of manufactured homes. Given these problems, the Assembly passed several bills designed to assist and protect the rights of manufactured home owners. While the Senate failed to take action on many of these measures, the Committee will continue to work toward enacting these important initiatives in the upcoming session. This bill would provide that lease offers made to manufactured home tenants list fees, charges, and assessments in force as of the date the lease offer is required to be made and would prevent the increase thereof until the expiration of the tenant's lease or after 90 days have elapsed, whichever is later. This bill would also provide for the pass-along of increases or decreases in charges for goods or services provided by third parties and would require that tenants without leases be charged at the same rate for fees, charges, etc., as tenants with leases for comparable lots and services. This bill would require the owner of a manufactured home park to deliver written notice of any offer for the sale of the park to the manufactured homeowners' association stating the price, terms and conditions of such offer for sale. It would also provide that the homeowners' association shall have the right of first refusal to purchase such property, and would set forth guidelines for the right of first refusal. New York City's housing needs are among the greatest in the nation. As a result, the Housing Committee works closely with New York City's Department of Housing, Preservation and Development to ensure that those needs are met. The following are summaries of bills supported by HPD that were acted upon by the Assembly. This Chapter extends the City of New York's authority to "evaporate" liens on Article 7-A properties for municipally financed repairs. This Chapter allows the City to continue to transform effectively abandoned buildings, often in dangerous disrepair, into a source of permanent affordable housing. The Chapter also repeals provisions allowing owners of Article 7-A properties to restructure rents prior to any rehabilitation of these properties. This chapter extends the phase-in period for property taxes for the Penn South coop project. Tenants voted previously to extend the cap on rents in exchange for the extended tax exemption period. This chapter permits the local legislative body to authorize an enhanced tax exemption for the final eleven years remaining in the contract, and permits the local legislative body to extend the period for such exemption for a period up to 25 years from the date of expiration of the initial tax exemption. This chapter extends New York City's ability to restructure rents of dwelling units in municipally-owned buildings that have been rehabilitated with the aid of urban development action area project loans. This chapter enhances the City's ability to continue to provide affordable housing following rehabilitation of City-owned multiple dwellings. The State of New York continues to play an important role in regulating and supporting the operation of public housing. Currently, over 18,000 units of State-regulated public housing are operated by 30 public housing authorities. In New York City alone, State-supervised public housing developments provide housing to over 30,000 people. This Chapter increases the membership of the Village of West Carthage Housing Authority from five members to seven members to include tenant representation, as required by recent changes in HUD regulations. This Chapter provides an additional sixty year tax exemption from local and municipal taxes imposed on certain housing authorities by state and local governments. The additional period of tax exemption enables the projects to continue operating and providing a valuable resource for housing the state's low-income population. This bill would adjust the annual monetary limitation on Division of Housing and Community Renewal (DHCR) contracts with Neighborhood and Rural Preservation Companies (NPCs and RPCs) and not-for-profit corporations for housing preservation and community renewal activities. Currently there is an $80,000 annual contract cap placed on NPCs and RPCs when they reach the aggregate funding amount of $300,000. This bill would allow preservation companies to receive up to $100,000 annually. Because a rental building can be converted with as little as 15 percent of the tenants wishing to purchase, many sponsors converted under less than ideal financial circumstances. Trouble resulted when sponsors had difficulty selling vacant units. Unable to meet mortgage payments and sustain building services, some sponsors defaulted on bank loans, souring the investment for shareholders and placing building residents at risk. This Chapter permits the creation of residential condominium interests, or mixed use condominium interests, in leaseholds of real property located within the Hunters Point (Queens West) Waterfront Development Land Use Improvement area. This development now conforms with other publicly-sponsored mixed-use development in New York City and provides Queens West with greater flexibility in meeting market demands for new residential development. This bill would repeal provisions requiring the filing of eviction plans with the Attorney General in coop/condo conversions. Under this bill, only non-eviction plans would be allowed for conversions. This bill would also prohibit landlords of condominium and cooperative residential conversions from evicting tenants refusing to purchase such cooperatives or condominiums. This bill would require the sponsor of a conversion plan to cure all serious violations of record of any local or state law with respect to the building and grounds which are the subject of such cooperative or condominium offering. This bill would authorize the Attorney General to refuse to issue a letter stating that an offering plan has been filed unless the plan provides that all units that are being offered conform to local zoning, building, and health laws, including the terms of any certificate of occupancy issued. This bill would protect persons sixty-two years of age or older, who are tenants of a dwelling unit located in a building located in New York City and who are threatened with eviction because their building is subject to a cooperative or condominium conversion plan. These tenants would be entitled to remain in occupancy of their dwelling unit. This bill would strengthen the rights of cooperative shareholders and condominium owners by requiring sponsors of conversion plans to notify tenants of their right to terminate a self-dealing contract. Self-dealing contracts are contracts entered into for the management or maintenance of the coop or condominium between the conversion sponsor and itself or an affiliate of the sponsor. This bill would require that all regular meetings of a Board of Managers of a condominium be open to all unit owners who shall be permitted to attend and listen to the deliberations and proceedings. The unit owners may not participate in any deliberations unless expressly authorized by a majority vote of a quorum of the Board of Managers. Despite this, the 1999 session started with the disturbing news that the owners of three Mitchell-Lama housing complexes had started the process of pre-paying or "buying-out" their government-subsidized mortgages. "Buy-outs" can have a devastating impact on the families living in these buildings as rents may double or triple when existing leases expire. The Assembly responded early in 1999 by passing a package of bills to protect Mitchell-Lama tenants. The Committee continued to pursue this package of legislation in 2001. Unfortunately, the Senate again failed to respond. This legislation would require Mitchell-Lama housing companies that intend to dissolve to provide notice of such intention to all their lease holders at least six months prior to the anticipated date of dissolution. The bill specifies certain information that must be included in the required notice. This bill would stabilize the rents of all Mitchell-Lama buildings first occupied after January 1, 1974, upon the completion of a "buy-out". In doing so, tenants would be protected from the dramatic rent increases that often result when buildings leave the Mitchell-Lama program. Tenants living in Mitchell-Lama buildings first occupied prior to January 1, 1974, already have this vital protection. This bill would ensure the delivery of essential services (as defined) in Mitchell-Lama housing by conditioning DHCR approval of rent increase applications on the delivery of those services and the correction of any hazardous conditions that might exist. This bill would extend from 20 years to 50 years the period of time before limited-profit housing companies may dissolve and leave the Mitchell-Lama Program. This legislation would preserve Mitchell-Lama housing as an affordable housing resource for the future. New York's rent regulation laws provide protection to over 2.5 million tenants throughout the State. The basis for both rent control and rent stabilization is a housing emergency, defined as a vacancy rate below five percent, that still exists in many areas of the State. Due to the existence of this emergency, government intervention is critical to protect tenants from unreasonable rent increases and evictions. This bill would prohibit interruption of services in "would-be" interim multiple dwellings if the unit is used for residential purposes with the knowledge and consent of the owner. Essential services that have customarily been provided may only be interrupted for repairs, which shall be performed in a reasonably expedient manner or in the case of an emergency or by order of a court or other governmental organization. The bill would further provide that if the services have been interrupted or discontinued, the owner must restore such services for so long as residential occupancy continues. This bill would extend the Loft Law until 2007. It would also provide additional oversight for interim multiple dwellings, and would provide for additional remedies for residents of such dwellings. This bill would further make additional provisions relating to the financing of such dwellings and the applicability of various provisions of the law to such dwellings. This bill would expand the existing Loft Law to people who lived in illegal lofts for a period of at least one year, from January 2000 to January 2001. The bill would also extend the Loft Law to March 31, 2007. This bill provides for the appointment of three alternates on rent guideline boards. Under this legislation, one of the alternates would be a representative of tenants, another would represent owners, and the third would be a public representative. Alternates would be permitted to participate in all proceedings of the board as non-voting members and would participate as voting members when a member representing the same interest as the alternate is unable to fulfill his or her duties. This bill would extend rent and eviction protections, pursuant to the Emergency Tenant Protection Act of 1974, to tenants living in former Section 8 projects. This bill would reform the method by which owners of rent regulated buildings are compensated for major capital improvements (MCIs). In addition to improving the methodology for determining MCI rent increases, this bill would require that rent increases associated with MCIs be treated as a surcharge that would not become part of the legal regulated rent by which annual rent increases are calculated. This bill would also require that rent surcharges authorized for major capital improvements cease once the cost of the improvement has been recovered. This bill would prevent owners from evicting tenants who are forced to flee their rent regulated units to escape domestic violence. Specifically, this legislation provides that victims of domestic violence, as defined by Section 459-A of the Social Services Law, would be deemed to occupy their rent-regulated unit as their primary residence if they have been forced to leave the unit because of such violence and if they assert an intent to return. This bill would decrease the allowable floor area ratio within dwellings for purposes of regulating the dimensions of open spaces in such dwellings. Due to several unfortunate circumstances, the Assembly and Senate did not come together this year in conference committees to negotiate a state budget. The Legislature passed a base-line budget in August 2001, funding housing programs at levels proposed by the Governor, therefore not including increases that in the past several years have benefitted from Assembly adds in the conference committee process. The Legislature hoped to come together to negotiate a supplemental budget to increase funding to specific programs, but as a result of September 11, no additional spending for specific housing programs was identified in the supplemental budget passed in October. Under this program, a state tax credit augments the federal Low Income Housing Tax Credit by providing funds for the construction of affordable housing through the syndication of tax credits. Similar programs have proven to be highly successful in leveraging private dollars to create affordable housing. NPP and RPP provide grants to cover the administrative costs of not-for profits engaged in a variety of affordable housing activities. This additional funding is dedicated to boosting awards for groups with proven records of accomplishment, as well as to fund new groups in presently under-served areas. According to the Division of Housing and Community Renewal, for every dollar the State invests in NPP and RPP, between $13 and $18 is leveraged for affordable housing from other public and private sources. NPP received $11.75 million in this year's budget, an decrease of $1.9 million, and RPP received $4.86 million, a decrease of $729,000 over the 2000 budget. The Homes for Working Families program uses a combination of tax-exempt bonds, low-interest loans from the State, and federal Low Income Housing Tax Credits to finance the development of housing for households earning between 50% and 60% of median income. By providing developers a vehicle to access otherwise unused federal 4% Housing Tax Credits, Homes for Working Families offers an opportunity to produce high quality, affordable housing at a lower cost for New York State's taxpayers. The $7 million enacted is the same amount as was enacted in last year's budget. UHAP has provided eligible neighborhood preservation companies with grants to establish Urban Homeownership Counselling Centers. These centers promote the purchase and rehabilitation of one-to-five family, owner-occupied buildings by providing credit counseling and other technical assistance. The Governor failed to include any appropriation in the Executive Budget for this program, and therefore it was not included in the base-line budget. RHAP has provided grants to rural preservation companies to assist low-income individuals and households in purchasing and maintaining homes. The Governor did not include any appropriation in the Executive Budget for this program and it also was not included in the enacted budget. This program provides grants and loans of up to $20,000 per unit (plus an additional $5,000 in high-cost areas) for rehabilitation and new construction of one-to four-family dwellings for middle-income New Yorkers. This represents a decrease of $3.5 million from SFY 2000, as the Governor did not include the $3.5 million the legislature added to last year's appropriation in his executive proposal. This program provides grants for emergency transitional and permanent housing for the homeless through acquisition, construction, and rehabilitation. This year's budget appropriation is $10 million below what was enacted last year for the development of permanent, emergency, or transitional housing for homeless persons with AIDS. The $30 million appropriation includes $5 million to be set aside for the Homeless Persons With AIDS Program. This program provides funding to modernize state-aided public housing projects and to address structural problems that threaten the safety of tenants. The Executive did not include the $1.5 million that was negotiated for this program in last year's budget, therefore the $12.8 million appropriated represents a decrease from last year. This program helps stem the sale and use of illegal drugs in public housing through drug abuse education programs for youth and building security improvements. The Governor failed to appropriate any funding for this program in his request and as a result there was no appropriation in the budget. This program provides grants of up to $5,000 to low-income elderly homeowners in one-to-four family homes to correct conditions that threaten their lives, health, or safety and that would otherwise force them from their homes. As such, HOPE grants enable older New Yorkers to maintain their independence and avoid more costly housing alternatives. Based on the Executive's proposal, funding for HOPE/RESTORE was decreased by $2 million from the level enacted in last year's budget. The Trust Fund provides funding to not-for-profits, localities, and private developers for the construction or rehabilitation of rental housing that is affordable to low-income households. Funding for this program is maintained at the level enacted for the FY 2000-01 budget. This demonstration program provides funding to eligible not-for-profits to help them in identifying lead paint risks, educating and relocating families/individuals impacted by lead poisoning, and assisting in abatement activities. The Governor failed to include an appropriation in his budget proposal. In the supplemental budget which passed in October 2001, $2.18 million was dedicated to existing housing programs. The Housing Committee identified the following programs for receipt of this additional funding. The challenge of providing safe and affordable housing in New York State is more tremendous than ever given the looming budget shortfall. The Committee seeks to achieve this goal by developing policies that leverage private resources, encourage individual home ownership, and lead to the creation of new housing opportunities. Despite the ever-increasing demands on state resources, the Assembly's commitment to housing remains strong. In the upcoming session, the Committee will focus on continuing the Service Contract Obligation Revenue (SCOR) Bond program to ensure an uninterrupted flow of state resources to affordable housing development. Since 1991, the SCOR Bond program has financed the rehabilitation and/or construction of over $1 billion of affordable housing throughout New York State. Protecting all loft tenants is also a priority for the upcoming session. The Committee will again seek to expand the existing Loft Law to unprotected loft tenants in Brooklyn, Manhattan and other areas of New York City who are not covered because they were not in residence by the date required under the Multiple Dwelling Law. In addition, the Committee will continue to seek the establishment of a revolving loan fund to help working families purchase and rehabilitate homes. Many of these families can currently afford monthly mortgage payments, but are unable to buy a home due to high down payment and closing costs. By assisting families with these costs, as well as the cost of necessary repairs, this initiative could make the dream of owning a home a reality for thousands of New Yorkers. Finally, the Committee will continue its fight to ensure that the State budget provides adequate funding to assist in the development of affordable housing, the rehabilitation of existing units, and the expansion of housing opportunities for the homeless, the elderly, and those with special needs. I look forward to my ninth year as chairman with enthusiasm and will make every effort to uphold the Assembly's commitment to quality, affordable housing for all of New York State's citizens. A.57 Sanders Would repeal provisions requiring the filing of eviction plans with the Attorney General in coop/condo conversions. Under this bill, only non-eviction plans would be allowed for conversions. Would also prohibit landlords of condominium and cooperative residential conversions from evicting tenants refusing to purchase such cooperatives or condominiums. A.140 Seddio Would require offering plans to include provisions that would require sponsors to cure all violations with respect to its building and grounds. A.381 Kaufman Would authorize the Attorney General to refuse to accept an offering plan for filing unless such plan shows that the proposed use is legal and conforms to local building and health laws. A.570 John Would provide that manufactured home leases include fees, charges and assessments. Would also provide that tenants without leases be charged the same rate for fees, charges, etc., as tenants with leases. A.656 Brodsky Would authorize municipalities to enter into contracts with redevelopment companies to exempt the real property of such companies from local and municipal real property taxes for a term commensurate with the term of the mortgage on such property made by the New York State Housing Finance Agency (HFA) instead of the current term of 25 years. A.657 Brodsky Would provide for the appointment of three alternates on each rent guidelines board: a tenant representative, an owner representative and a public representative. A.675A Sanders Would protect non-purchasing senior citizens, threatened by eviction due to a coop/condo conversion plan, from eviction. A.676 Sanders Would decrease the allowable floor area ratio within dwellings for purposes of regulating the dimensions of open spaces in such dwellings. A.1252 Lopez Would adjust the annual monetary limitation on contracts entered into with Neighborhood and Rural Preservation Companies (NPCs and RPCs) and not-for-profit corporations for housing preservation and community renewal activities. Currently there is an $80,000 annual contract cap placed on NPCs and RPCs when they reach the aggregate funding amount of $300,000. This bill would allow preservation companies to receive up to $100,000 annually. A.1255 Lopez Would require companies aided by Mitchell-Lama loans to notify tenants of the possibility of mortgage buyouts, which could potentially increase rents. A.1281 Lopez Would extend rent and eviction protections, pursuant to the Emergency Tenant Protection Act of 1974, to tenants living in former Section 8 projects. A.1284 Lopez Would extend the Emergency Tenant Protection Act of 1974 to cover buildings that were owned by limited-profit housing companies who voluntarily dissolve. This would protect tenants from the drastic rent increases often associated with Mitchell-Lama "buy-outs." A.1307 Lopez Would amend the Local Emergency Housing Rent Control Act by removing the provision that prohibits cities of one million or more from strengthening rent regulation laws to provide more comprehensive coverage than provided by state laws. A.1434 Kaufman Would ensure the delivery of essential services (as defined) in Mitchell-Lama housing by conditioning DHCR approval of rent increase applications on the delivery of those services and the correction of any hazardous conditions that might exist. A.1445 Lopez Would extend the period of time from 20 years to 50 years before which limited-profit housing companies may voluntarily dissolve without consent of the regulatory agency. A.2641-A Sanders Would reform the manner in which major capital improvements are calculated in determining rent increases. A.4390 Grannis Would provide for the notification of a cooperative tenant shareholder's or condominium owner's right to terminate a self-dealing contract under federal law. A.4789 John Would require the owner of a manufactured home park to deliver written notice of any offer for the sale of the park to the manufactured homeowners' association stating the price, terms and conditions of such offer for sale. Would also provide that the homeowners' association shall have the right of first refusal to purchase such property, and would set forth guidelines for the right of first refusal. A.5578 Lopez Would prohibit interruption of services in "would-be" interim multiple dwellings if the unit is used for residential purposes with the knowledge and consent of the owner. Essential services that have customarily been provided may only be interrupted for repairs, which shall be performed in a reasonably expedient manner or in the case of an emergency or by order of a court or other governmental organization. Would further provide that if the services have been interrupted or discontinued, the owner must restore such services for so long as residential occupancy continues. A.5579 Glick Would extend the Loft Law until 2007. Would also provide additional oversight for interim multiple dwellings, and would provide for additional remedies for residents of such dwellings. Would further make additional provisions relating to the financing of such dwellings and the applicability of various provisions of the law to such dwellings. A.5580-A Lopez Would expand the existing Loft Law to people who lived in illegal lofts for a period of at least one year, from January 2000 to January 2001. Would also extend the Loft Law to March 31, 2007. A.6314 Wright Would allow tenants of public housing authority projects to conduct meetings at no cost in any common use area of a property owned by municipal housing authorities. A.6641-B Gottfried Would extend the phase-in period for property taxes for the Penn South coop project. Tenants voted previously to extend the cap on rents in exchange for the extended tax exemption period. Would permit the local legislative body to authorize an enhanced tax exemption for the final eleven years remaining in the contract, and would further permit the local legislative body to extend the period for such exemption for a period up to 35 years from the date of expiration of the initial tax exemption. A.7391 Robach Would require that all regular meetings of a Board of Managers of a condominium be open to all unit owners who shall be permitted to attend and listen to the deliberations and proceedings. The unit owners may not participate in any deliberations unless expressly authorized by a majority vote of a quorum of the Board of Managers. Boards of Managers would be allowed to hold executive sessions which would not be open to unit owners. A.7747 Weinstein Would prohibit an owner of a rent regulated unit from commencing an eviction proceeding against someone who is not using their rent regulated unit as their primary residence because they are currently living in a shelter for victims of domestic violence. A.8593-A Rules (Millman) Would require that before a Mitchell-Lama housing company could voluntarily dissolve, it would have to fully satisfy any legal obligations to provide housing for artists. 40 A.3995-B Lopez Extends the City of New York's authority to "evaporate" liens on Article 7-A properties for municipally financed repairs. Allows the City to continue to transform effectively abandoned buildings, often in dangerous disrepair, into a source of permanent affordable housing. Also repeals provisions allowing owners of Article 7-A properties to restructure rents prior to any rehabilitation of these properties. 80 A.8762 Rules (Lopez) Extends the Housing Finance Agency's and the Housing Development Corporation's authority to grant exemptions from local taxation until June 30, 2003. 110 A.8764-A Gianaris Extends the ability of SONYMA's Mortgage Insurance Fund (MIF) to provide mortgage pool insurance until July 16, 2003. 111 A.8763-A Rules (DelMonte) Increases SONYMA's tax-exempt bonding authority to a total of $6.645 billion, an increase of $250 million. Extends SONYMA's authority to purchase mortgages and issue tax-exempt bonds until July 16, 2002, and extends SONYMA's authority to issue taxable bonds until July 16, 2002. 311 A.5282-A Nortz Increases the membership of the Village of West Carthage Housing Authority from five members to seven members to include tenant representation, as required by recent changes in HUD regulations. 352 A.6976 Cymbrowitz Provides an additional sixty year tax exemption from local and municipal taxes imposed on certain housing authorities by state and local governments. The additional period of tax exemption enables the projects to continue operating and providing a valuable resource for housing the state's low-income population. 354 A.8615 Rules (Nolan) Permits the creation of residential condominium interests, or mixed use condominium interests, in leaseholds of real property located within the Hunters Point (Queens West) Waterfront Development Land Use Improvement area. Brings the development into conformance with other publicly-sponsored mixed-use development in New York City and provides Queens West with greater flexibility in meeting market demands for new residential development. 363 A.8761 Rules (Heastie) Increases the Housing Finance Agency's tax-exempt bonding authority by $500 million from $5.03 billion to $5.53 billion.